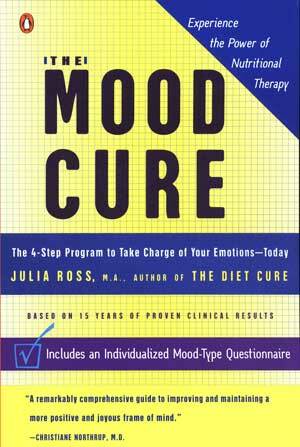 Part 2 of “Fat is Not the Enemy,” adapted from The Mood Cure, Chapter 7. Read Part 1 here. The top awards for bad-health-fats go to the “lite fats”: vegetable oil and the margarine and shortening made from it. I don’t mean extra virgin olive oil, which is a Good-Health Fat. I am referring to such staples as corn oil, soy oil, canola oil, peanut oil, sesame oil, wheat-germ oil, and cottonseed oil. The reason that we didn’t use these oils much before 1930 was that we preferred traditional fats like butter, cream and lard. We used coconut and palm oil a lot then, too. And not so coincidentally, our rates of depression, heart disease, and cancer were much lower then. So were our weights! All that was changing by 1970, however, because by then the medical establishment had begun telling us that the saturated fat in butter and other dairy products could cause heart attacks, and that the polyunsaturated fat in vegetable oil and margarine was more beneficial for our hearts. Vegetable oil and margarine have since become favorites in the American kitchen, at what now appears to be the cost of a significant measure of both our health and our happiness. In what way are these toxic fats “lite”? They are light on the expense side of the food industry ledger. Olive and coconut oils cost more, as do butter and ghee. What’s the problem? First, these oils are very unstable-that is, they can become dangerously rancid very quickly. Rancid means oxidized, and in your body, oxidized means damage to your cells and tissues, especially to the areas rich in fat, such as your brain. You know what happens when an apple is exposed to the air: Oxidation is the process that turns it brown and makes it “go bad.” If you eat vegetable oils that are already oxidized from the heat and light as well as the exposure to oxygen in the air during processing and the removal of the unsightly but protective antioxidant vitamin E (it’s brown in color), you are exposing your own healthy tissues to a volatile substance that will damage them. Here’s where butter is truly better. You can keep it on the table for days at a time and it won’t spoil. Why? It’s not damaged by light and heat, and it’s packed with antioxidants that prevent oxidation. 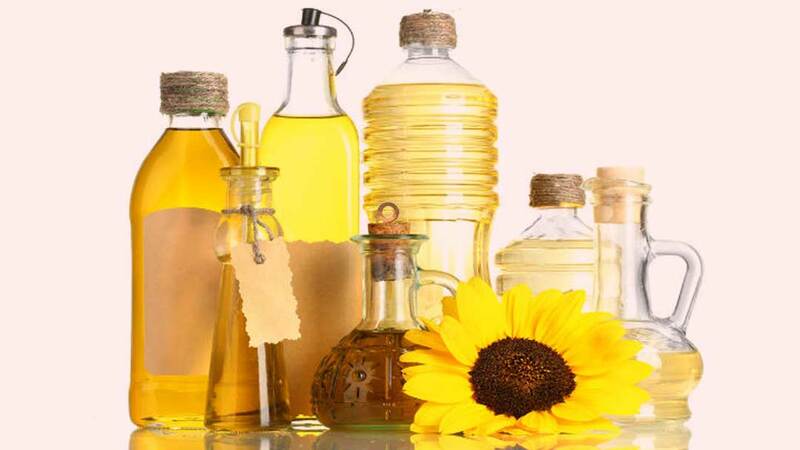 But vegetable oils have had their antioxidants-primarily the ugly brown-colored, but irreplaceably protective vitamin E–removed and destroyed in processing. The reason they don’t smell rancid is that they’ve been deodorized by being exposed to high heat. Unfortunately, all this processing makes these oils hopelessly rancid by the time we pour them onto our salads and skillets or add them to our recipes. Oxidation, or rancidity, is a major contributor to most degenerative disease, and we consume, on average, 66 pounds a year1 of rancid vegetable oils, 400% more than we did in 1920. It’s a combination of rancidity and inflammation, plus excess that makes the omega-6’s such a serious modern health hazard. We used to get the small amounts of O-6 we needed from eating meat, whole grains and beans, and from seeds and nuts that we’d keep in their freshness-maintaining shells till we were ready to eat them. Now these damaged vegetable oils are the only oils many people ever eat or cook with. They’re also the primary oils used in almost all packaged baked goods (baked bads) like crackers and cookies, salad dressings, and mayonnaise (To make your own olive oil based mayonnaise, see recipe here). Putting its terminal rancidity and inflammatory effects aside for the moment, lets move on to the final nail in the omega-6 coffin (and our coffins, if we eat it). Let’s look at what is done to these rancid oils, so liquid by nature, to make them harden into the margarine and shortening that we find in most prepared food, and use at home to “protect” our hearts. These fragile, already damaged vegetable oils, so ultra-sensitive to heat, are boiled for many hours with hydrogen and bits of nickel until their essential molecular structure is entirely changed into a “hydrogenated” or “trans” (think trans-formed) fat. The toxicity of this “trans” fat far outstrips any dangers attributed to saturated fats (except for saturated fat that is hydrogenated!) Hydrogenation (trans-forming) turns any fat into something that a biochemist friend calls “one step away from a plastic.” The process not only keeps liquid fats firm, it keeps them firm forever. Shelf life versus your life. These “partially hydrogenated” fats still corrode nearly every packaged food on the market shelf from Triscuits to Pop Tarts, though many manufacturers still don’t list them among their ingredients. Trans fats prevent your brain from utilizing brain-protective omega-3 fats, thus contributing to the takeover by omega-6 fats that leads to depression and other kinds of mood disruption. We need to stop using the Bad Health Omega-6 vegetable oils, hydrogenated trans-fats or not, and start using lots more of the healthier fats that I have already discussed. This is a tough order, since it involves avoiding processed foods like mayonnaise and prepared salad dressings, in addition to all those crackers, granola, chips, and cookies. It will take a while for you to identify the culprits at the store and dodge what you can when you eat out. But it will be worth your life as well as your mood! 2. Chang MC, Contreras MA, Rosenberger TA, Rintala JJ, Bell JM, Rapoport SI. “Chronic valproate treatment decreases the in vivo turnover of arachidonic acid in brain phospholipids: a possible common effect of mood stabilizers.” J Neurochem. 2001 May;77(3):796-803. 5. Pietinen P, Ascherio A, Korhonen P, Hartman AM, Willett WC, Albanes D, Virtamo J. “Intake of fatty acids and risk of coronary heart disease in a cohort of Finnish men.” The Alpha-Tocopherol, Beta-Carotene Cancer Prevention Study. Am J Epidemiol 1997 May 15;145(10):876-87. 6. USDA: Per Capita Fat Supply for the U.S., 1909-1998.